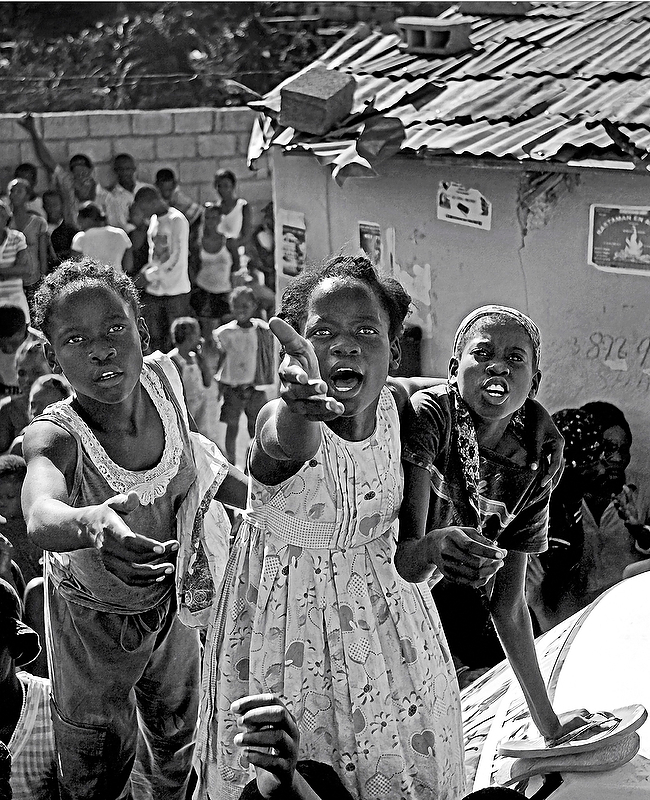 Born in Haiti, and raised in Brooklyn and Miami, Carl-Philippe Juste established his career as a photojournalist after graduating from the University of Miami. Known for his intense, evocative work as a staff photographer for the Miami Herald, Juste has decades of intense experiences to share. In an extensive, free-wheeling interview, he discussed his work, including the history of some of his signature photographs, as well as his personal history, philosophy and his views of photography in terms of its importance in creating a geography of change, as well as how it impacts the personal growth of both the viewer and photographer. At the Focus on the Story International Photo Festival, he’ll be presenting his passion project, “Havana, Haiti: Two Cultures, One Community.” The multi-year project, which involves several prominent photojournalists and writers, contrasts and compares the two island nations and their complicated relationship, both with each other and America. The featured panel, however, is as much about how Juste and his colleagues pulled the project together and sustained it over the course of several years, as it will be about their compelling body of work — images and essays, which will soon be published as a book. 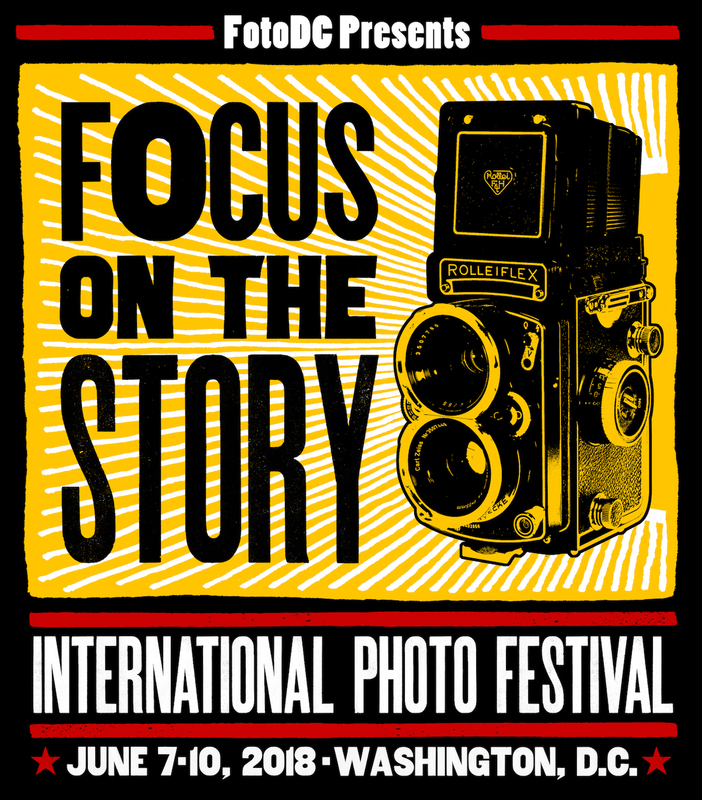 Carl Juste will be speaking at the Focus on the Story International Photo Festival in Washington, D.C., June 7 – 10. Mike Lee: Let’s talk about four photos. Starting with the three girls. Carl Juste: That was shortly after the earthquake. I think it was myself, Lynsey Addario and someone else I can’t remember. We had heard that they were sending out food. Up in near Pétion-Vill, we get there and these people were coming out of everywhere. You find any opening, window, door, car … people were climbing the side of the mountain and they’re all moving towards the soccer field. If you notice in that picture, behind them is a little house. They’re sitting up on a ridge. Everybody’s out and they … the U.S. started handing out army rations and it just went crazy. I noticed in the corner of my eye, these three little girls. I thought at first, what made it interesting is this plea in their eyes. But it was more of a sense of empowerment because they had to climb over all these young men and older men to be noticed. You notice how they’re extending their hands. The people who were giving out the food were probably another 40 feet in front of them. It’s not like they could hand them the food. They really used their presence to try to draw attention to distributors of the meals. I guess they are military rations. The desperation in their eyes, but it just occurred to me how the hell these kids got above everybody else? They’re the last three little girls, you know? It was a sea of guys. Men, young men, no children. Just men, young men, and maybe a couple of women. Mostly it was a sea of male faces. Somehow they were able to find higher ground and to extend their arms. I think, if my memory serves me right, the soldier was able to lob a couple rations over the crowd and they were able to get something. That face, I mean it’s so haunting. It happened quick. It was in and out. Every time they would take something else out, a group of men would get their ration and the whole sea, whoever was behind them now would be in the front. It’s like a wave starting from the back to the front, to the front, to the back of the truck, which was the front of the line. I just don’t know how they were able to do that, but they did. I think this speaks a lot to Haitians. 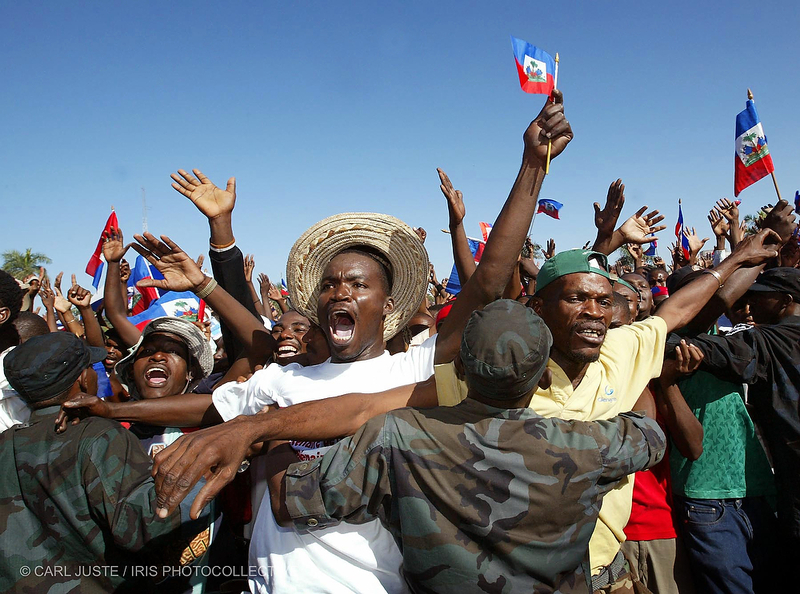 Haiti is actually a matriarchal society. Women run the household, women run the businesses. They always find a way to survive. They always find a way to feed their children. They always find a way to protect their kids. 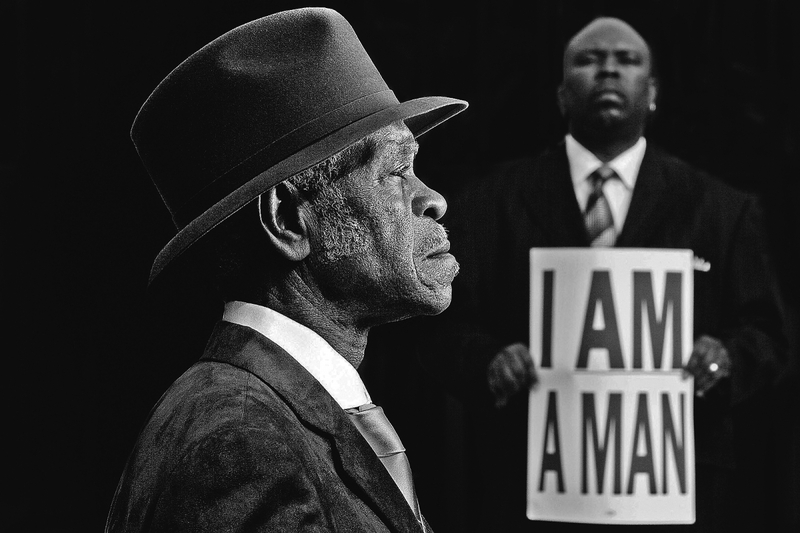 Lee: I Am A Man in Memphis. When did you take that? Because the job is hard. It’s hardly a young man’s body doing this work. Imagine this, when I photographed him, he must’ve been … he’s 87 now? He must’ve been 77 years old or close to 80 and he was still working, he was still doing the graveyard shift. Early in the morning, picking up the trash, and he … I wish I could say in this video because it would break your heart if you heard what he said. He was describing to me when they’re marching and for some reason, they … it started to rain and they let go the dogs on the marchers and they all ran into this church. Into this church and they were sitting in the basement. And somehow someone came to them and told them that Martin Luther King just got shot. It’s just one of those images. I had some lights and I just wanted to capture that dignity that was often deprived him. I felt like it was very important that he didn’t have to wear a suit to be a man, but it helped that he did, because he has this royalty, this kingship that is hard to explain. And he does it a service. You know? Real men always want to serve their fellow persons, you know? They always wanna be the one that imposes a sense of power and dignity. Like I said, it’s not in the moment, it didn’t last long. I was doing different things, I was shooting the street and he just stood there. For a brief second, I shot three or four frames and that was it. Lee: The third one is Conch Whistler, which you took in 2004. What’s the story about that? Juste: Yeah, that’s Nèg Mawon. 2004, I went for the inauguration. It was Independence Day. 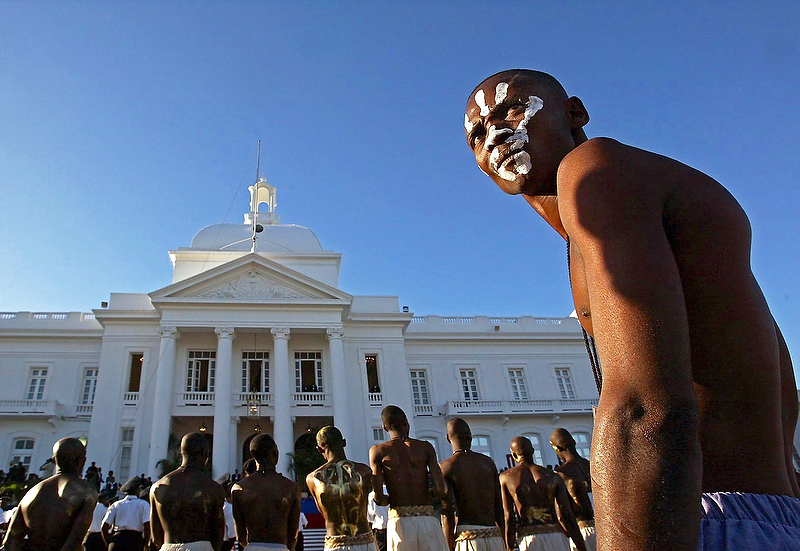 Aristide, every year, you know had this big rally at the palace. National palace. These dancers were all lined up waiting to perform. And there was this one young man and he was supposed to resemble the Conch Whistler which is Nèg Mawon. There was like several of them. They were all lining up, waiting to perform. I’m watching this kid. This is what happened and what occurred a month later. Imagine if Obama held a rally at the White House and every poor and disenfranchised person was allowed to let in on the grounds of the White House. That’s exactly what Aristide did. This kid turns around and look at his face. It’s not a face of everything’s going to be all right. He looks like he’s scared, he’s fearful because he’s looking over his shoulder. Well, that 2004, on January first, this occurred and Aristide came out and gave this speech full of dog whistles, reminding his supporters that they have to be ready to protect him. In February 2004, he was ousted. So this was the precursor. This was the shot, this was the awareness that they know that their president probably would not be around for long. They knew it. 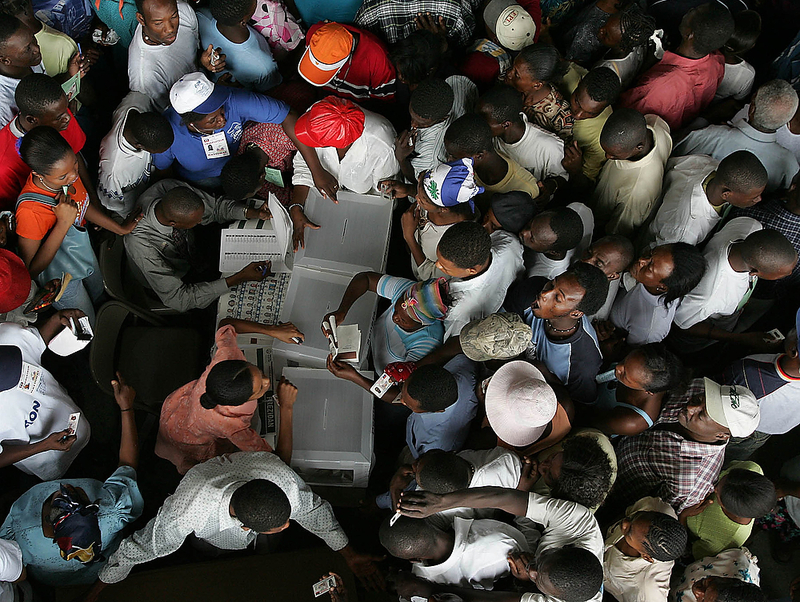 Aristide was asking all his supporters to rally and the way he was saying it, he was using these metaphors and code. The crowd would get all riled up and right before that guy, the group performed, who’s supposed to be Nèg Mawon. Nèg Mawon was a person that blew the Conch to alert the slaves to rebel. It’s happening on so many levels, but when I saw it I knew that was going be something that this was foretelling something bad to come. I remember telling the Herald, “Hey we better be on alert because something will be going down.” Right after that rally, they had all the shamirs and all the violence in the street, the kidnappings. They were trying to blame it on the shamirs. Finally, Aristide got ousted. I think on the February 27 or 26. He was put on a plane and sent to South Africa. Lee: And it goes into The Mask [the featured image at the top of this interview]. Juste: The Mask is another great story. I was in Guantanamo this was in ’93. There was camp alpha and I think camp beta. I think alpha had the Cubans, beta had the Haitians. Thus segregated. They end up escorting a group of photographers, maybe five or six of us. We walk into this tent. It’s pitch dark and hot like hell. And the rally’s going and they’re allowing these people to protest and I’m walking by and there was a gentleman, another photojournalist that was with me from Dallas and from Miami. Mike [Smith], was his name. He also worked in Miami for AP. So I’m going around, yeah, yeah, the kid, yeah. He came to the rally. I said, “Why?” There was a couple people who were hiding their face. He was fearful that he knows I’m being repatriated. 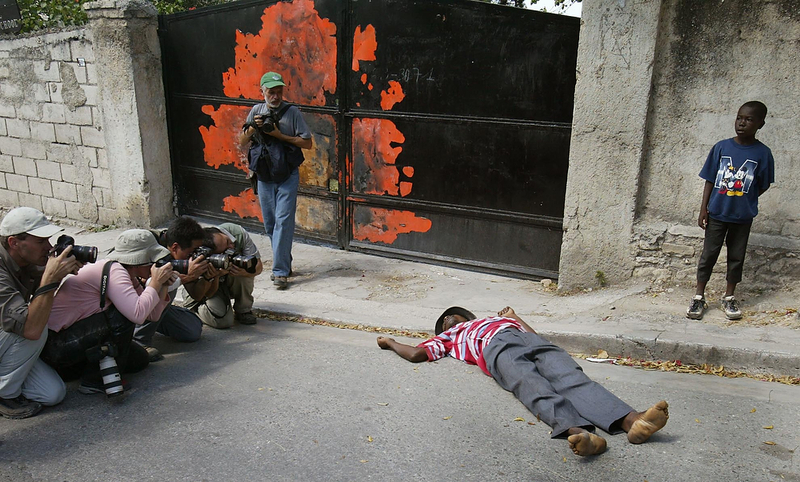 He knew if people saw his face that when he got back to Haiti, he’d be a target. Once I made the print, I started backing away from the print, all of a sudden his face was revealing. I could see his nose. I could see his mouth. I could pretty much recognize him. I could pretty much recognize him if he stood next to it and I’d say, “That’s you.” There were three other people and he was one of them I could recognize. That’s it. Because his jawline is very distinctive. His nose is very distinctive and his mouth is very distinctive, but you can’t really see none of those things because you only are captivated by the eyes. You have to pull back. I thought that was kind of a metaphor to understand Haiti. You sometimes have to pull back. You can’t get caught up in what’s the obvious. You have to pull back to see what’s being hidden, what’s being disclosed. I mean, what’s being … a shield. So, I did well and I entered a couple contests and did well. Lee: This segues into that you had once described in a previous interview about photography being the most democratic art form. Just wanted to give you a chance to expand on that concept and what it means as a working photojournalist. Juste: Well I think photography, because the visual language is our primary language. Why art works? It’s because we can visualize the prose, we can visualize music, what we hear. We could even visualize what we smell and what we taste. Visualization is our primary language and the photography, even at its basic, basic, rudimentary expression, it’s something anybody can pick up and take a picture, right? That picture, it could be by luck or by choice, can give power to its author. Whereas if I were to write something, because I’m not proficient in writing, I wouldn’t have that power. But because I am proficient, we all are proficient, in the art of seeing … seeing the unseen, it lends itself to a larger pool of people than any other art form. To dance you have to have rhythm, right? Not everybody has it. Some people do, some people have more. To sing you have to have a voice. The act of seeing is so innate. Even blind people can see. They can visualize things in their mind. That primary talent is what connects all our humanity. In order for you not to hurt someone, you have to practically see yourself in their position. If I could make, and this is why photography’s so democratic because it goes beyond language, it goes beyond politics because it appeases to your natural instinct of understanding. It really, really does. No one says to hear it to believe it. No one says to taste it to believe it. But everybody understands when I say we have to see it to believe it. It’s something about seeing something firsthand that gives you a level of validation that no other sense can. It’s almost like a stamp. Now you could be, of course you could be deceived, you know. You could be also deceived in your hearing. You could be deceived in other ways. But something about seeing requires, it emits so much trust. Eyewitness. It’s not earwitness. It’s not tongue witness. It’s eye. Something that validates when you experience something to your sight, to vision that makes it real. When you give someone a camera, regardless the merit of the work, if it’s great or not. I mean you pick up a camera people are allowed to tell their own stories. They tell their stories through their own filter. If it’s a child, he’s going to take a picture on his point of view. Even if you put a camera on a dog, you will see it from the perspective from a dog point of view. If you’re a bird, it really allows you to take ownership of your own reality. May be true or not, that’s irrelevant. It gives you the opportunity. It gives you an opportunity to speak in your own voice that other art forms would require a lot more training. Not to say great photographers are easy to come by. No, they’re not. Great photographers transcend the obvious. They make the most difficult thing look easy. That’s just like any other skill set. But the fact that my son can pick up a camera, can pick up my iPhone. He could click 50 times and two out of 50 could be amazing. You can’t say that about someone who picks up a guitar or someone who picks up a pen. Or even someone who speaks. Its something about mastering the senses from birth, other than when you’re blind, from birth your initial input is through your eyes. Lee: What other advice do you give to your students? Juste: Patience. I tell them, “The camera’s an extension of your being.” The camera’s no more responsible for the picture as a pen is responsible for a great novel. It’s a tool. That’s all it is. The image happens in your mind first. An image, a great image, it is the collaboration between mind, heart, and soul. It has to have intelligence, it has to be genuine, and it has to be everlasting. I tell my students, and that can only come with patience. You may get lucky once. You may get lucky once, but luck does not make a career. What makes a career is hard work. It’s failure. I tell them that all the time. If you want to be successful, you must be ready to fail.